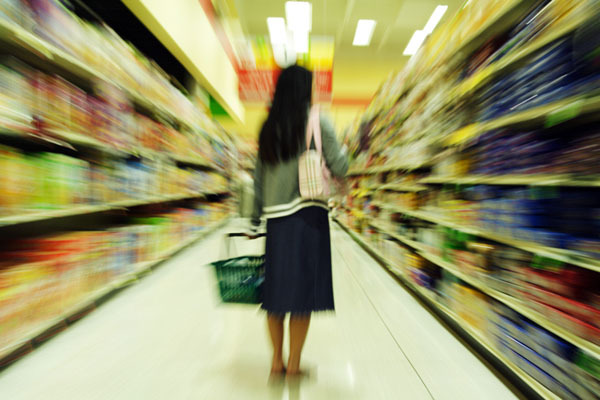 Of late, you may have noticed that grocery prices have increased by leaps and bounds. The main reasons for sudden increase in grocery items include population explosion, changes in weather pattern as well as energy demands. Apart from this, food wastage has also been considered as one of the reasons in the increase of grocery prices. You will be surprised to note that nearly 40% food is thrown away every year because of faulty storage practices. Be clever while you shop for grocery items: You cannot avoid shopping for grocery items in order to take care of your personal finance, isn’t it? So, you need to shop grocery items wisely. You should go for the grocery store cards which will help you get discounts and help you save money. Keep an eye on every sale circular in your local stores so that you can plan your grocery shopping accordingly. Rather than going for branded items, you can choose generic brands for similar quality of products. Try buying certain grocery items in bulk like, candy, coffee, olive oil, cereals, etc. Save money on staple food items: There are certain staple food items which we need in bulk. These include items like eggs, flour, milk, etc. Rather than going for costly brown eggs, you can opt for white eggs. You can buy flour in bulk as it has a shelf life of around six months. When it is available on sale, make sure that you buy as much as you need for nearly six months. While you purchase milk, make sure you go for those packs which have freshest sell-by dates. Normally you will find them hidden at the back of the rack as store owners wants to sell off the old items prior to the new ones. Also, keep the fresh milk for drinking. Rather, you can use the dry milk for cooking or baking. Proper food storage: As you will be buying food is bulk, it is very important to take care of food storage. Unless the food is properly stored, there is a high chance that you will have to throw it away. Organize your refrigerator so that you use the old food items prior to that of the new ones. Cook perishable items and then refrigerate them. Make sure that you put the flour in an air tight container. Keep separate items in separate containers. Coupons: A great way to save money: Use as much coupons as possible and save money on grocery items. With the advance in technology, now you can find coupons on the websites of the grocery stores. You will just have to print them. Apart from this, when you visit the grocery store, you will find the coupons in an aisle besides your favorite shopping item. Store those coupons well so that you can use it at the right time for your grocery shopping. You can also find the coupons in your Sunday newspapers. Hopefully now you know how to manage your grocery shopping so that you can take care of personal finance well!